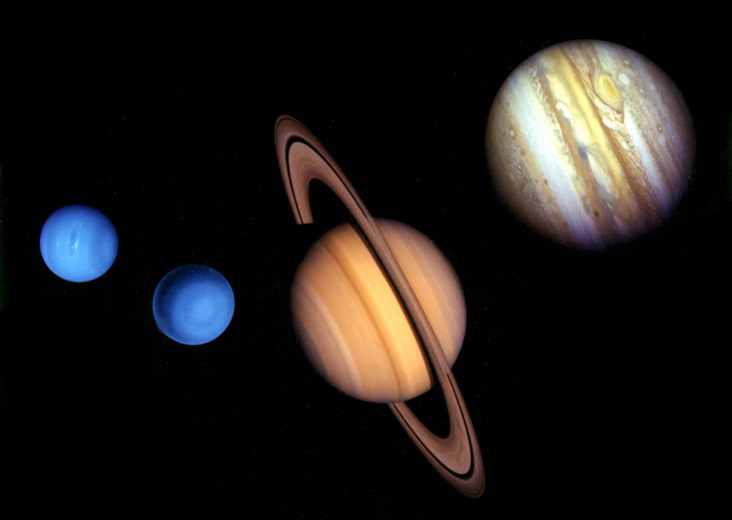 NASA has asked scientists to assess how to design and fly robotic space probes to Uranus and Neptune, the last of the solar system’s classical planets yet to be orbited, likely ensuring the huge icy worlds are near the top of the space agency’s to-do list in the coming decades. Led the Jet Propulsion Laboratory, the study will look at ideas for orbiters that could be dispatched Uranus and Neptune in the late 2020s or early 2030s and study the giant planet’s structures, composition and extensive moon systems. One focus of the study will be designing a common spacecraft platform that could be developed in two copies and launched to Uranus and Neptune for about $2 billion each, according to Jim Green, head of NASA’s planetary science division. But Green said scientists should look at scaled-back concepts that could be developed at less cost. The study is the first bureaucratic step in a multi-year effort involving independent cost and technical assessments, scientific peer review and federal budgeting before a mission to one of the icy giant planets goes from the drawing board to reality, Green said. Results from the study will be presented to a panel of scientists seated by the National Research Council in the early 2020s. The NRC committee meets once per decade to map out the top priorities for the next 10 years of planetary science research, producing a report that ranks mission concepts for consideration by NASA decision-makers. The space agency’s policy is to follow the decadal survey’s recommendations. A mission to Uranus or Neptune will likely be a multibillion-dollar flagship-class mission in the mold of NASA’s Cassini orbiter flying around Saturn and a recently-approved probe to repeatedly fly by Jupiter’s icy moon Europa. NASA’s budget for planetary science can only support development of one such costly mission at a time, so only low-level work on a follow-up flagship project is affordable until after the Europa mission departs Earth in 2022. “Obviously, it’s not going to be easy to be able, even after we get Europa under our belt, to actually execute on the next large mission, but we need to make progress to understand our science priorities and look at this in a way that will prepare us for the next decade, but also utilize new technologies and capabilities that have come up (since the last decadal survey),” Green said Monday. The last decadal survey report issued in 2011 set NASA’s foremost planetary science objectives as a Mars sample return mission and a probe to Europa. 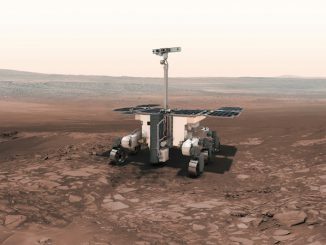 NASA’s next Mars rover set for launch in 2020 will collect and store rock specimens for retrieval and return to Earth by a future mission, fulfilling the first step in a multi-mission odyssey to bring back samples from the red planet’s surface. And NASA formally approved the Europa flyby probe earlier this year to assess the icy moon’s habitability. 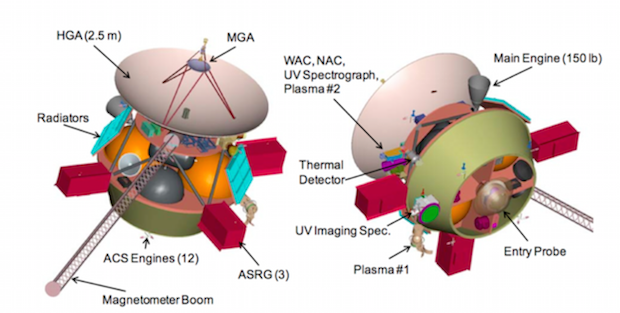 A Uranus orbiter was third in line in the 2011 decadal survey, but NASA’s budget will keep the mission grounded until at least the late 2020s. That means NASA’s ultimate approval of the mission depends on it faring well in the next decadal assessment by the National Research Council. It is likely to be up against strong backing for a robotic mission dedicated to Saturn’s moon Titan, which has seas and rivers of liquid hydrocarbons like methane, and another flagship mission to Mars to pick up the samples collected by the 2020 rover. A lander or rover mission to Venus may also gain support in the next decadal report. The surface of the sweltering cloud-shrouded world has not been explored since Soviet-era lander missions in the 1980s. 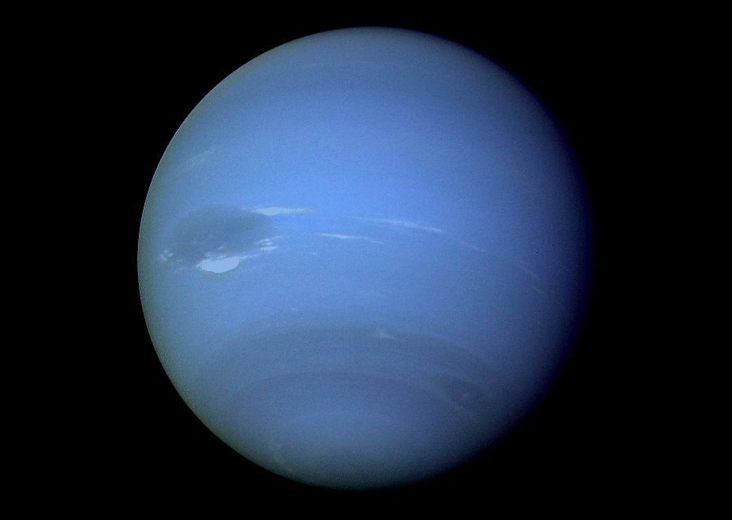 NASA is expected to request similar conceptual studies on other leading contenders for future flagship missions heading into the next decadal survey, but Uranus and Neptune are first in the lot. Orbiters for Uranus and Neptune will almost certainly rely on nuclear batteries powered by plutonium, and U.S. government funding of additional production of space-grade plutonium ensures such projects will have the power resources they need, Green said. Engineers pack pellets of plutonium-238, the isotope tailored for electricity in space, into radioisotope generators. The natural decay of plutonium-238 produces heat, which is transferred through thermoelectric couples to generate electricity. 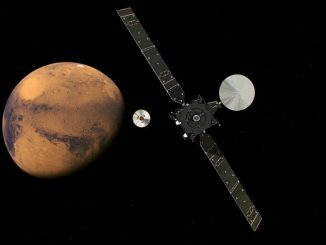 “It would be after 2023, as we get into the next decade that we would consider using radioisotope power for those missions, if they survive the decadal process, which I’m sure they will,” Green said Monday. Nuclear power is required for probes in the far reaches of the solar system, where sunlight is insufficient for solar arrays. NASA’s New Horizons mission to Pluto, the Cassini mission at Saturn and the Curiosity rover on Mars currently rely on plutonium power sources. Uranus orbits about 1.8 billion miles from the sun, more than three times farther than Jupiter, and Neptune is positioned 2.8 billion miles away. Other objectives of the JPL study include assessing how Uranus and Neptune research probes could benefit from advanced sensor technologies, such as compact instrumentation and high-resolution cameras. Green said the study will also examine how NASA’s powerful Space Launch System, which is being considered for the launch of the Europa mission in 2022, could allow for bigger, more capable and less risky missions to Uranus and Neptune that could make the trip in a fraction of the time feasible if the probes used a smaller rocket. NASA also tasked JPL to identify ways international partners could participate in the missions and to establish a science definition team for Uranus and Neptune. Some scientists view Uranus and Neptune as the logical next step in the strategic exploration of the solar system, and orbiters to one or both of the huge planets could arrive about a half-century after their first encounters by NASA’s Voyager 2 probe. 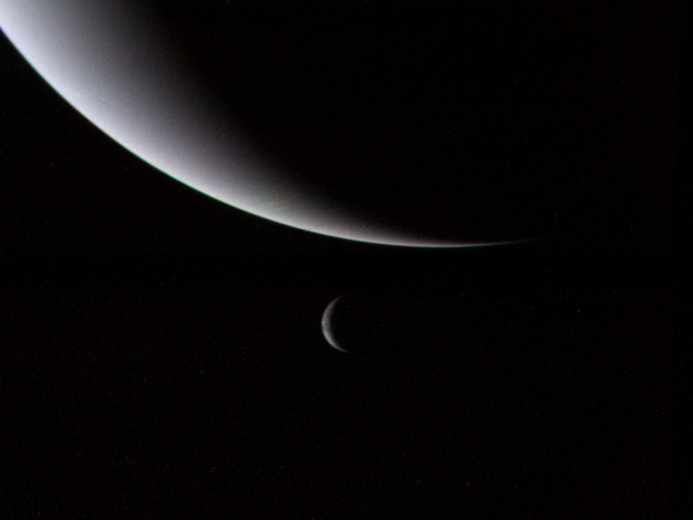 Scientists believe Uranus and Neptune are composed mostly of rock and ice, with a dense, layered atmosphere. Researchers are not sure where they got so much ice, but some experts believe Uranus and Neptune were bombarded with frozen primordial objects from the Kuiper Belt, a ring of frigid proto-worlds beyond Neptune that contains Pluto and dozens more nation-sized dwarf planets. Surprising discoveries by the New Horizons flyby of Pluto, revealing the diminutive icy world to show signs of apparent glacial flows and ongoing geologic activity, have renewed attention on the mostly unexplored far edges of the solar system, such as the Kuiper Belt. “Our new frontier is the outer part of the solar system,” Green said. At least some of the outer giant planets’ moons, such as Neptune’s Triton, are likely intact remnants from the ancient Kuiper Belt that were captured billions of years ago. 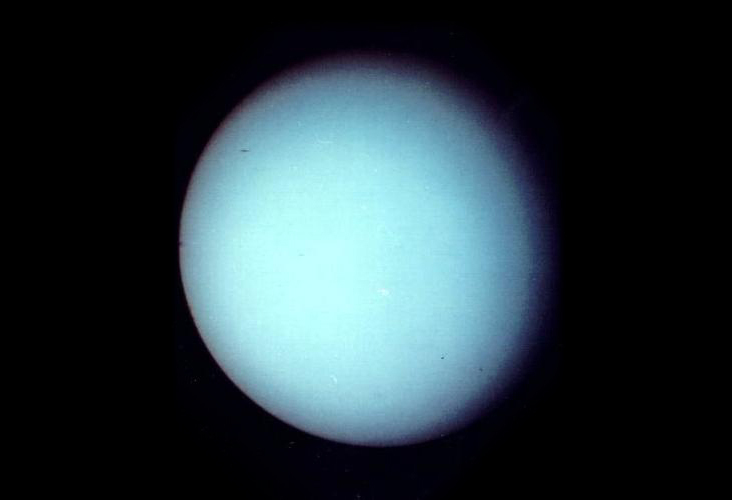 “I think the science case for a future mission to one — or both — of the ice giants is strong, and I do expect them to be well placed in the next decadal survey,” said Mark Hofstadter, a planetary scientist who led studies for a Uranus mission in the late 2000s. “The announcement yesterday from Jim Green means that the next decadal will be better positioned to identify a realistic and capable mission, and its cost,” Hofstadter told Spaceflight Now. For William McKinnon, a planetary geologist at Washington University in St. Louis, another visit to Uranus or Neptune would be fascinating, he tells Spaceflight Now. 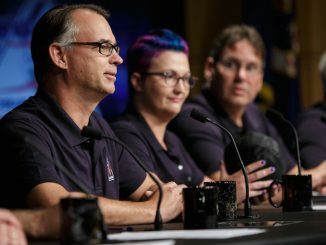 But McKinnon, who currently analyzes fresh data on Pluto from New Horizons, brings up an often-overlooked concern among scientists working on probes to faraway destinations: It takes decades to design, build and fly such a mission, followed by more years of data crunching.